As some of you may remember, I started the Books on the Nightstand Summer Book Bingo challenge back in July. Well . . . it’s September now, and let’s face it, with university back in full swing, and work on weekends, the books in my TBR pile will have to get comfortable because they might be there for awhile. 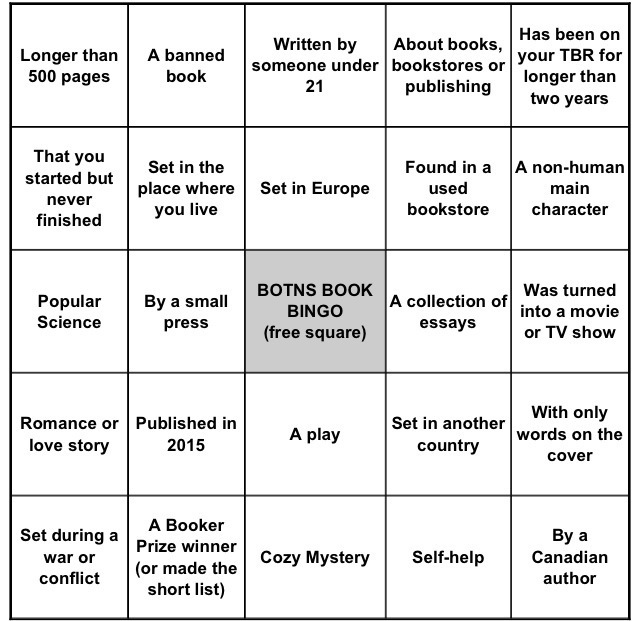 So, after much deliberation, I have decided to throw in the bookmark this year, and say goodbye to the Summer Book Bingo. I mean, after all, summer is long gone now, and I STILL have barely grazed (ha, get it?) the first few chapters of Animal Farm. I definitely want to do this again next summer though, and I’ll start it earlier so I can get in as much summer reading as possible. I didn’t get a single bingo this year, which is a little disappointing, but I still read some amazing books, and it was neat to read books I might not otherwise have reached for, or books that I had sitting in my TBR pile for forever. See you all next summer for another round of Summer Book Bingo!! !